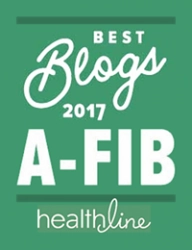 "A-Fib.com is a great web site for patients, that is unequaled by anything else out there." "Jill and I put you and your work in our prayers every night. 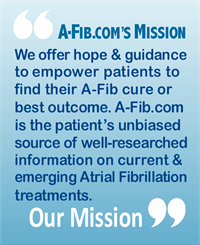 What you do to help people through this [A-Fib] process is really incredible." “I really appreciate all the information on your website as it allows me to be a better informed patient and to know what questions to ask my EP. 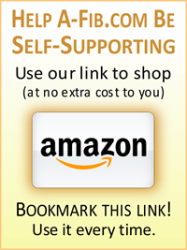 "This book is incredibly complete and easy-to-understand for anybody. 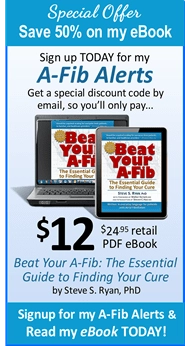 I certainly recommend it for patients who want to know more about atrial fibrillation than what they will learn from doctors...."
"Dear Steve, I saw a patient this morning with your book [in hand] and highlights throughout. She loves it and finds it very useful to help her in dealing with atrial fibrillation." "...masterful. You managed to combine an encyclopedic compilation of information with the simplicity of presentation that enhances the delivery of the information to the reader. This is not an easy thing to do, but you have been very, very successful at it." 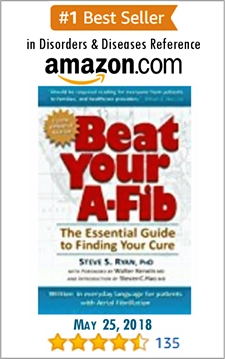 "Within the pages of Beat Your A-Fib, Dr. Steve Ryan, PhD, provides a comprehensive guide for persons seeking to find a cure for their Atrial Fibrillation." This survey is for research conducted by Sevinc Erdas Uzumcu as partial completion of the Doctor of Health Sciences degree at A. T. Still University. The purpose of this research is to understand of the association between atrial fibrillation and anxiety. Your participation is voluntary and will only involve completing the anonymous, 7–minute questionnaire. The researcher will not place any codes on the questionnaire that could directly identify you. The results of this research might be published, but any research reports or publications will not reveal your name or identity. Your survey completion serves as consent to participate in this research. While there are no direct benefits to you for completing this questionnaire, the results may help improve understanding of prevalence of anxiety among patients with AF and the association between AF symptom severity and anxiety that could contribute to current treatment options and improved patient outcomes. Your support is needed. Every donation helps, even just $1.00. This site complies with the HONcode standard for trustworthy health information: check here. Disclaimer: the authors of this Web site are not medical doctors and are not affiliated with any medical school or organization. The information on this site is not intended nor implied to be a substitute for professional medical advice. Always seek the advice of your physician or other qualified health professional prior to starting any new treatment or with any questions you may have regarding a medical condition. Nothing contained in this service is intended to be for medical diagnosis or treatment. 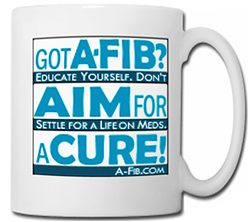 A-Fib.com © Copyright 2001-2019 A-Fib, Inc. is a 501(c)(3) Tax Exempt/Non-Profit Organization incorporated in Nevada.